This is a blog about maps except this blog entry has nothing to do with maps. It's about a football match and my attempts to get to it from my home in Redlands, California to my home town, Nottingham, England. 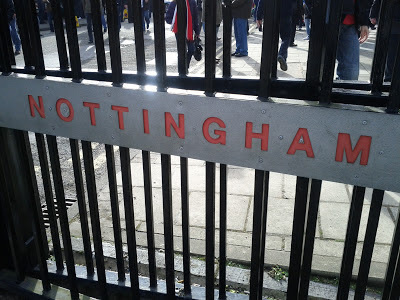 When Nottingham Forest announced the return of Billy Davies as manager a couple of weeks ago I couldn’t resist returning to the UK for a flying visit to see his first game back in charge of my team. Crazy? Quite possibly…but it's only a hop across the pond from LA to London. It's a route I regularly fly and I enjoy travel so to me, the distance isn't really a problem. What I didn’t envisage was the farcical journey that would unfold. I left LAX on time at 20.40 on BA268 on Thursday 14th February along with a flight ‘chock full of celebs’ according to the lady at check-in. 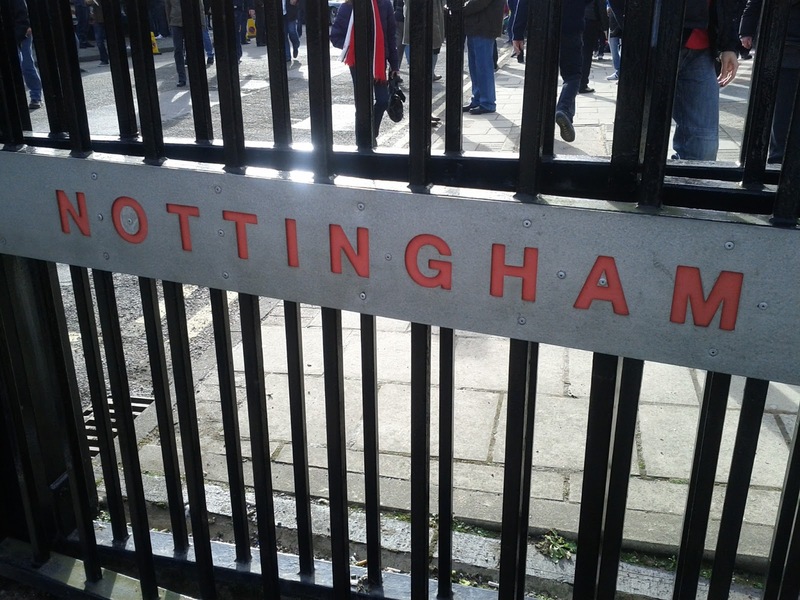 The match at the City Ground in Nottingham was due to kick-off at 3pm Saturday and I therefore had about 34hrs (taking account of the 8hr time difference) to get to my destination. Easy. About an hour into the flight, just after the drinks service had been round and as I was settling in to watch the latest Batman film the announcement “could a senior member of the cabin crew please come to the flight deck immediately” was made. This was closely followed by a sharp turn…odd given it’s pretty much a straight line route between LA and London. Then the Captain announced that the flight was having to return to LA for “operational reasons” and we were not to be alarmed at the sight of all the fuel being dumped from the wings in preparation. Fifteen minutes later the Captain again “unfortunately things have moved on rather a lot and we can no longer land at LA because of fog. The only available runways are too short for us to land as we’re too heavy…so we’re headed to Las Vegas”. About 45 minutes later we landed in Vegas safely to be met by flashing lights on every kind of emergency vehicle imaginable. We made it to the gate and there was no mass evacuation. The captain explained that fumes had been engulfing the flight deck and the flight crew were in danger of being overcome. Given the circumstances they did a remarkable job of getting us all down safely and without panic (thank you!!!). We were advised to disembark the aircraft and make our way to baggage reclaim to get our bags then proceed to the ticket counter to arrange re-booking. 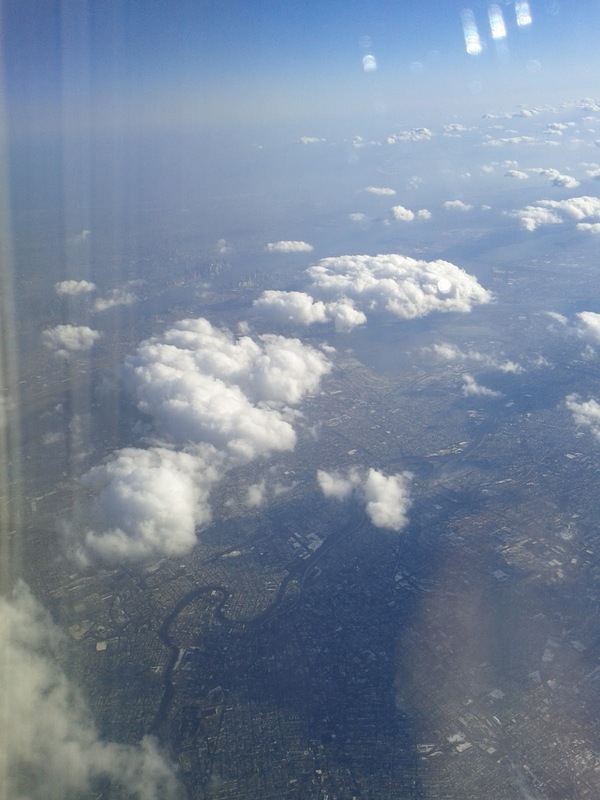 The flight to London was over. Alternative arrangements would be made. It was now midnight, 31hrs to kick-off and I was in Sin City for the night! Bags took a while to appear. Information in the terminal was scarce with the PA system repeating the advice to go to the ticket counter along with the “good news” that they would be providing hotel accommodation for the night. After waiting at the empty ticket counter for nearly an hour we were told there were no staff to deal with re-booking; that we should return to the airport at 2pm the following day and that the most likely outcome would be that we might get a seat on the BA flight from Vegas to London that evening. That flight did not arrive into the UK until 3pm Saturday. Kick-off…too late. It was clear that there was no way I was going to get any local help to make alternative arrangements so I was going to have to do this myself. I called the British Airways 24hr help line to be met by a recorded message “the office is currently closed, please call back during business hours”. Hmm. I then called UK customer relations and thus ensued a tortuous conversation. After explaining the situation the BA representative had to verify that I was telling the truth he proceeded to begin to try and help. I had already looked up possible routes to get me to London which included getting to either Dallas or New York early on the Friday morning to meet a connecting flight. Great, he found seats on the flights and we were almost there when I hit a wall…he was informed that he could not re-book me because the flight was still showing as ‘active’ and in any event, it was up to the ground staff in Vegas to do all the re-booking. I explained the local situation and that I could not wait over 12 hours for a ticket counter to open. No luck. So I was effectively stranded in Vegas with no way of getting to London in time to get to the match. I asked him to cancel and refund my flight. Again…no luck; it couldn't be refunded because it had been partially completed. Completed? It's odd how nowhere in my booking was mention made of 'via Las Vegas for a short stay' so completed is an odd turn of phrase. We were going round in circles. It was infuriating and really quite a ridiculous situation that customer relations could not help me at all. My only choice was to just re-book myself onto new flights with fresh tickets but given there was no ticket counter that was going to have to be online…I needed to get to the hotel and get tickets sorted as I was sure there were others on the flight who were also savvy enough to be working this out themselves. The transport from the airport to the hotel comprised a small shuttle bus and a stretch limousine. Really? This was all that they could muster to get an entire Boeing 747 full of people and their luggage to the hotel. After queuing for 90 minutes I got a shuttle..and I learnt that the celebs were Ryan Seacrest and Julianne Hough though presumably they had already fled the scene as they were nowhere to be seen. I felt sorry for a couple who had, that day driven from Vegas to LA to catch the flight and now found themselves back in Vegas. I can drive from my house to Vegas in 3hrs so i too had taken quite a long time to get, effectively, nowhere. I kept in mind though that we were safe. The pilots had done a remarkable job and to be honest I'd much rather be safe on the ground than the alternative. At the hotel…another hour wait in line for one of only two desk clerks to check everyone in. We were invited to use the casino facilities, enjoy our stay blah blah yackity schmackity. C’mon…it was now 3am and most just wanted a bed despite the casino being in full swing! I got to my room and fired up the laptop, found flights and hit the ‘submit’ button to pay. I was going to have to deal with getting a refund on the previous ticket another time. And then…”there was an error with your booking. your tickets may have been booked but you are advised to call customer relations to confirm”. Argh! I waited a few minutes to see if the email confirmation came through but no…so another call to customer relations. No, the booking hadn’t been made so I had to go through it all again. Tickets finally booked, I called the front desk to arrange a 6am alarm call as I was on the 8:20am flight to New York JFK. To bed…for an hour. 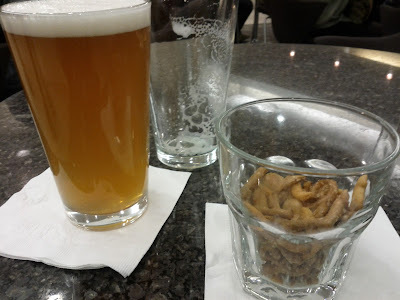 With 2hrs to kill in the lounge, where dinner consisted of a bowl of pretzels and two pints of beer, the JFK-LHR portion of the route was due to leave at 18:15. We are now 16 hrs to kick-off but landing at 06:20 in London still gives me ample time to get to the ground. We board the plane and sit on the tarmac….and sit. Eventually the Captain “ladies and gentlemen you’ve probably noticed we haven’t pushed back yet. It appears that catering haven’t loaded on all of the food for the flight so we have to wait a while”. Some time later “the catering still hasn’t arrived and we don’t know when it will. Ok…c’mon…it’s a flight less than 6hrs do we really need to wait for a pile of inedible sandwiches to be delivered? After about 90 minutes “you’ll be pleased to know the catering has now arrived and we’re just waiting for the last few connecting bags to be loaded then we’ll get underway”. What? We were due to take off 90 minutes ago and they’ve just found some bags…hmm. The bags came and we pushed back and the engines were started…then stopped. “Ladies and gentlemen, unfortunately one of our engines has developed a hydraulic problem. It’s nothing to worry about but we do need to get engineering to take a look”. Ok, now I’m getting frustrated. The possibility of a final, journey ending cancellation is now looming….but no…one final reprieve; the engine is repaired and after 3 ½ hrs sat on the tarmac at JFK we take off. Our revised landing time in London is 10:00am…5hrs before kick-off. The journey was smooth, we landed and I was swift through border control (benefits of the IRIS retina scan paying off nicely). Just had to collect my bag and I’d be looking good for getting to the match…except my bag never arrived. It was 10.30am (4 1/2 hours to kick off) before I got to speak with someone at the American Airlines desk to discuss my absent luggage. “oh…, that's odd. your bag is in New York Sir but don’t worry, it’ll be on tomorrow’s flight and we’ll get it out to you as soon as we can”. Peachy!!! I am going to be in the UK less than 48hrs and now have no luggage. I have the clothes I am wearing and...it's been a long journey thus far! What’s more, I have an itinerary that has me travelling between Nottingham, Lincolnshire, Northampton and then back to London so where do I get my bag sent? Can I be assured it’ll actually turn up? If I don’t collect it I lose it because it cannot be couriered back to the US and in any case, I have a few items I want to leave with various people (my nieces belated Christmas presents for starters!) It was an awkward set of circumstances for sure…and I opted to provide a forwarding address for my bag by phone later once I’d decided on where best to send it. I got the phone number and it was now 11am…I needed to get to the rental car place asap, bag or no bag. This is England. I was cold. My coat was in my lost bag (lesson learnt!). I got to the rental car place to find a lack of rental cars and because I was a day late my original rental had long since been reallocated. But wait…they had ONE car left…I’d take anything. 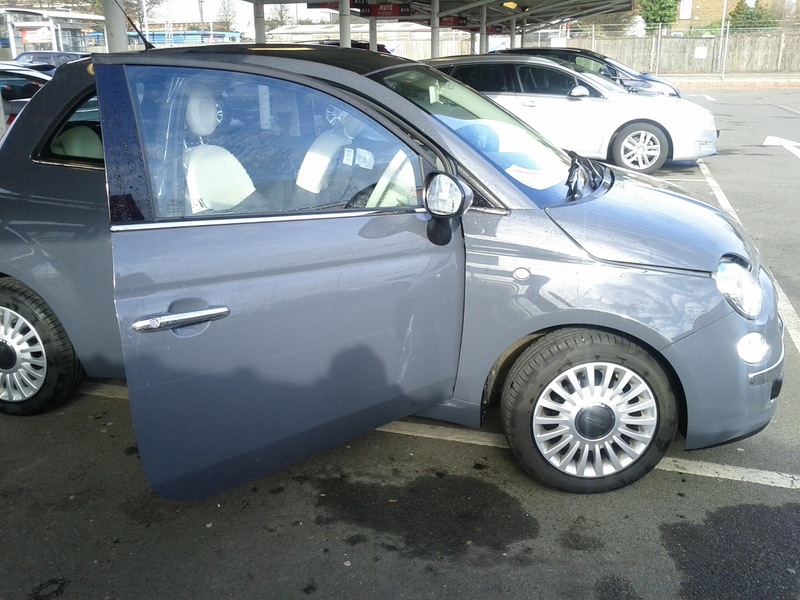 I got a Fiat 500. A bloody Fiat 500!!! But now I had to wait for it to be cleaned. Argh…I don’t need it clean, I just need it to work and take me to Nottingham! I got in the car at 11:15am. I had 3 ¾ hrs to make it to the ground and 130 miles to cover. It's a 2hr journey on a good day but this journey involves the M25 and M1. Notorious for delays, stationary traffic and roadworks. I had a flyer though and can confirm the Fiat 500 1.2l can get up to quite a speed when it wants to; though avoiding Lithuanian and Romanian lorries on British roads is still a challenge. I arrived in Nottingham, parked the car and strolled to the ground at 1.30pm. 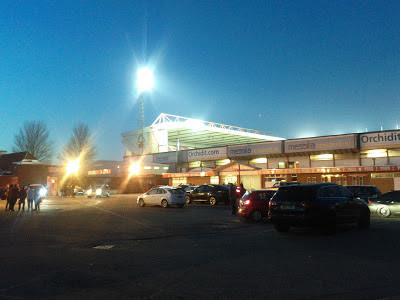 I grabbed a bite to eat; tried desperately to avoid people asking me what the hell I was doing standing around in the freezing cold in a short-sleeved shirt; wandered round the club shop to warm up and met my brother at 2pm (thanks for the coat Colin!) and my friend at 2.30pm (thanks for the ticket Phil!). 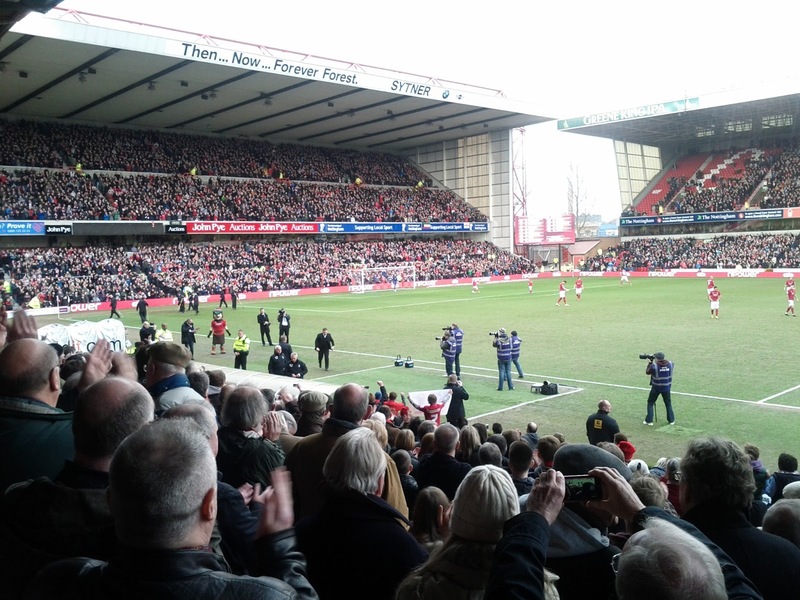 We entered the ground and bam…there was Billy Davies strolling around in the hallway as we made our way through to our seats. I was too tired to have the presence of mind for a photo opportunity but we exchanged glances and I felt he somehow saw the combination of pain and sheer relief that I’d made it to see his first game back. I’d made it. Two broken planes, lost luggage and hardly any sleep but after 33hrs of travel I had made it with an hour to spare. 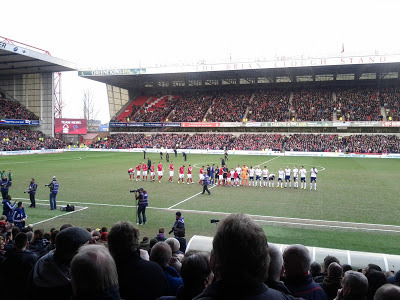 I was back at the City Ground...a place I have always returned to ever since I was 8 years old following my local team (I lived 2 miles away as a child), managed by the incomparable Brian Clough and Peter Taylor and having the fortune to see my team during the European Glory days. Today is different. The team is being rebuilt. New owners. A succession of managers but I returned to see Billy Davies take on the managerial reigns for the second time. He has unfinished business after being sacked some 18 months previously. He has arguably been the clubs most successful and certainly most engaging manager since Clough. He is back. I was back to see him kick-off his second spell in charge. After the game I tried to contact American Airlines several times by phone but no-one picked up. It was looking like my bag might not find its way. Early Sunday morning I tweeted @AmericanAir and their response was first rate…they got my details and sorted it all out. My bag had landed at Heathrow and would be delivered to the address I gave them by mid-afternoon. I set about the various visits I’d agreed to make and yes, my bag turned up. I collected it, drove to London and found myself in T5 early on Monday morning reflecting on what had happened and hoping I’d have a smoother return journey. Just one more thing to do…find the BA Customer Relations desk and try and figure out a way to get the abandoned flights refunded. As the home of British Airways I’d have hoped this would be simple but no…there is no customer relations desk. Amazed, I got to the lounge and vented my anger through twitter. In the space of 48hrs I’d experienced a calamitous journey with both British Airways and American Airlines: mechanical problems, re-routed flights; lost bags. The big difference is that I received superb customer service from American Airlines. The pilot had apologized for their “abysmal performance” in New York. The cabin crew had apologized for the “embarrassing” circumstances and they had swiftly rectified the lost baggage issue and compensated me with 100GBP. Yes, s*it happens but it’s how people and organisations respond that makes the difference. As for British Airways…their customer service leaves a lot to be desired. I settled into my seat on board to write the majority of this blog and to finish watching the Batman film. I did both. And what of the match? Well it was a good game. The crowd were terrific. The result mattered little (it finished in a 1:1 draw). It was just great to see Billy Davies back in the Forest dugout. It was terrific to meet up with an old school friend and I will be back to watch the mighty reds again. Did the journey dampen my spirits? Yes. It broke me…but I still made it....and I'll do it again. Los Angeles, Las Vegas, New York, London and Nottingham...thanks for the smile Billy...it made the effort of getting to the match worth it. I was back home by the time Forest took the field against Huddersfield on Tuesday. Back to listening to the match through the interweb. It's never quite the same but it's what exiled fans have to do to keep in touch with their team. Football: "it's a funny old game".